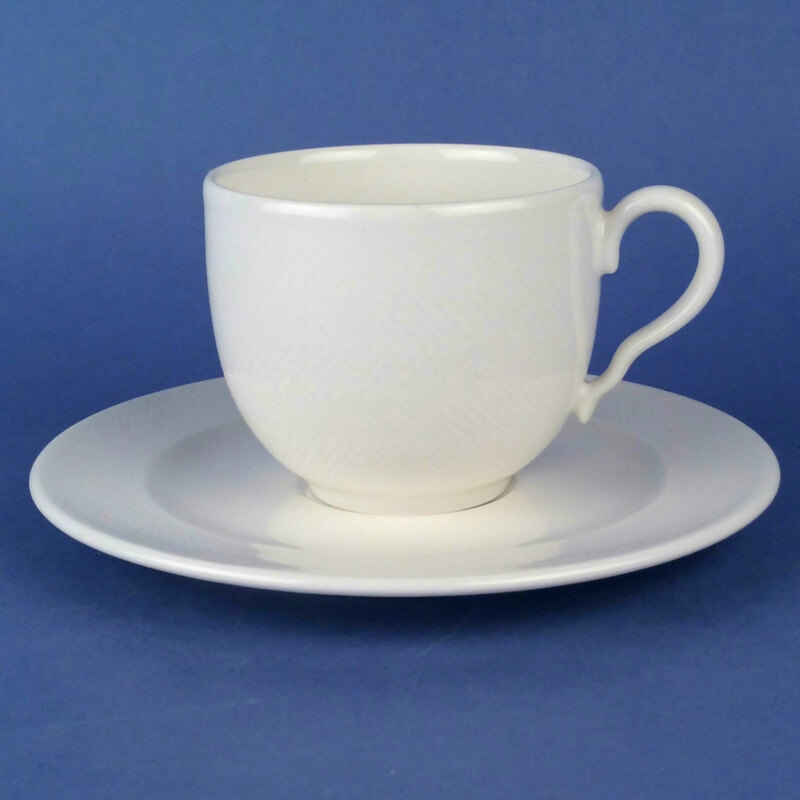 Look Fine China Coffee Cup and Saucer has a simple white background with the embossed “Look” Herringbone Pattern over the entire surface of the outside of the cup and around the rim of the Saucer. The Look Collection is Fine China and made from vitrified porcelain for strength and durability. 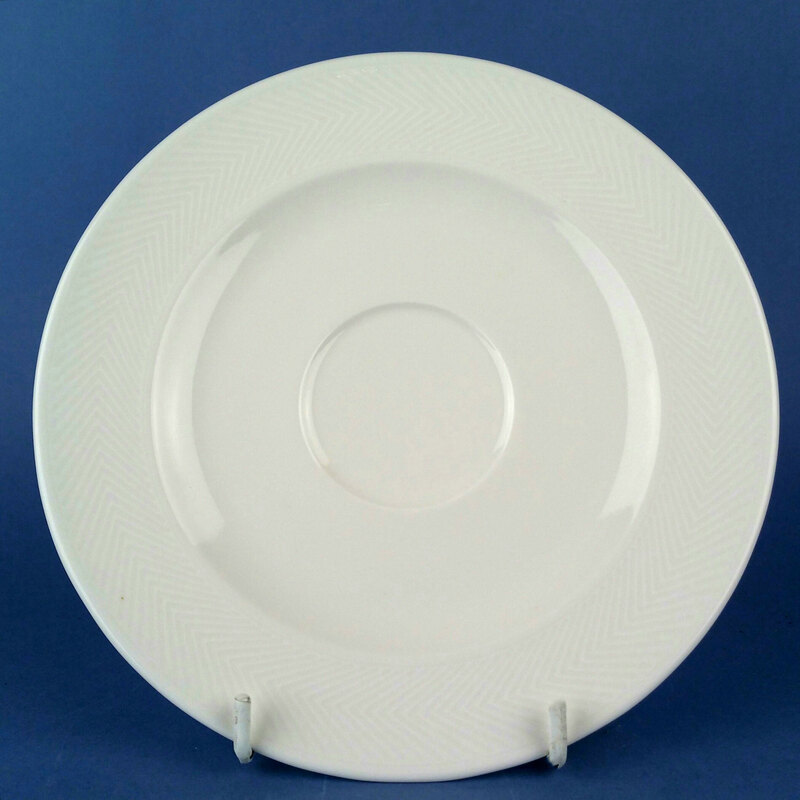 Look Fine China is Dishwasher and Microwave safe.